Retailer Peter Schwarzbach seamlessly steps into his father’s shoes at Vin Chicago. The record for retail succession around Chicago hasn’t been very good in recent years, but Howard “Bud” Schwarzbach is continuing his legacy. He launched the first Wine Discount Center store in 1986 on Chicago’s Near North Side, grew the business to five locations and became a Market Watch Leader in 1999. As he approached retirement age, the retailer had no obvious heir to the company. His son, Peter Schwarzbach, who received a master’s degree in business from Northwestern University in Evanston, Illinois, had taken a job in Kentucky as a steel buyer for Toyota Motor Co. and seemed unlikely to ever trade working at one of the world’s largest corporations for stacking cases of Chardonnay. Under Peter Schwarzbach, Vin Chicago is very different from its discount origins. In addition to the name change, the headquarters moved from the western suburb of Addison, Illinois, to the northern suburb of Highland Park. 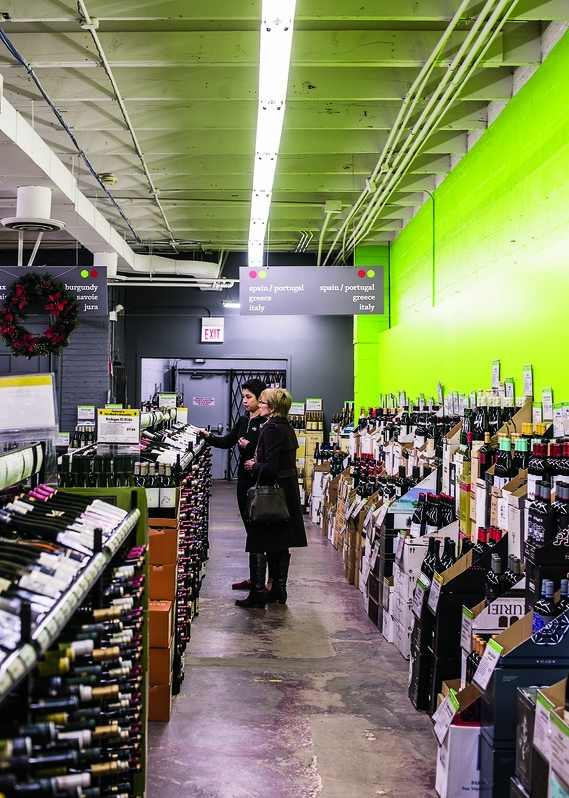 Peter closed some stores that were selling both wine and beer and tightened the focus to wine at the four remaining stores—one each in Chicago, Highland Park, Naperville and Barrington. He’s also upsized these stores from around 2,800 square feet to an average of 6,000 square feet, with the idea that modern shoppers demand a larger selection. The new strategy is working: Sales rose 7 percent in 2014 to surpass $20 million. The revamp, trumpeted in local newspaper advertisements, caught Chicago shoppers by surprise. 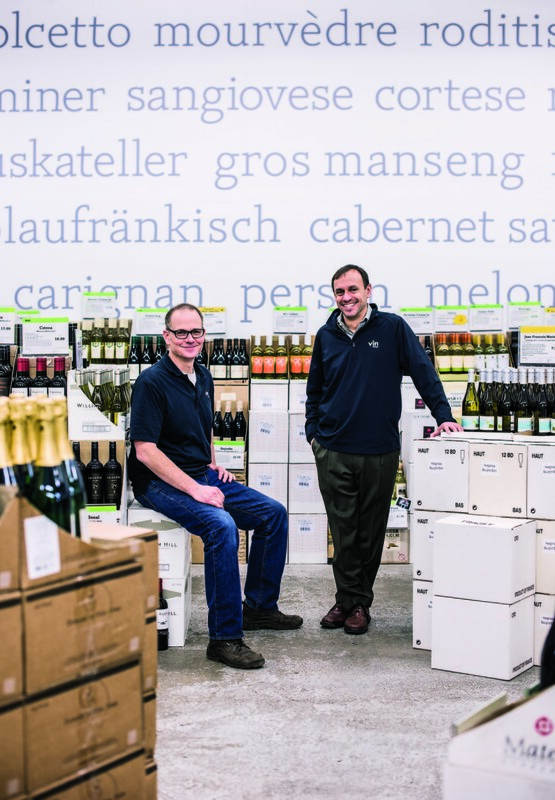 Wine Discount Center had borrowed its original formula from two stores that served as role models in the 1980s: Los Angeles Wine Co. and San Diego Wine Co. Both outlets were founded by Tom Kowalski, who worked as a wine buyer in the 1970s for Bud Schwarzbach’s previous company, the eight-store Famous Liquors. Kowalski pioneered the bare-bones warehouse format, with pallets of wine piled high on plain cement floors, and ran gross margins as thin as 10 percent. The stores still have a warehouse-style layout, though they’ve been upscaled in the past 10 years with the addition of wire shelving. The larger footprints allow the units to stock some 4,500 wine labels, triple the total from the late ’90s. Margins aren’t quite as thin as they were back then: Wine now garners close to 20-percent gross profit, which is still 10 points lower than can be claimed by most rivals, aside from big-box chains like Costco and Sam’s Club. Even if margins are up, Vin Chicago still prides itself on low prices. “We don’t like to get beat on price by anybody,” Peter Schwarzbach says, explaining that he’s in a constant struggle to cut overhead. “Health insurance is more expensive for our workers, and credit card fees have become painful.” He’s quick to jump on end-of-quarter or end-of-year wholesale deals, even if it means sitting on inventory. 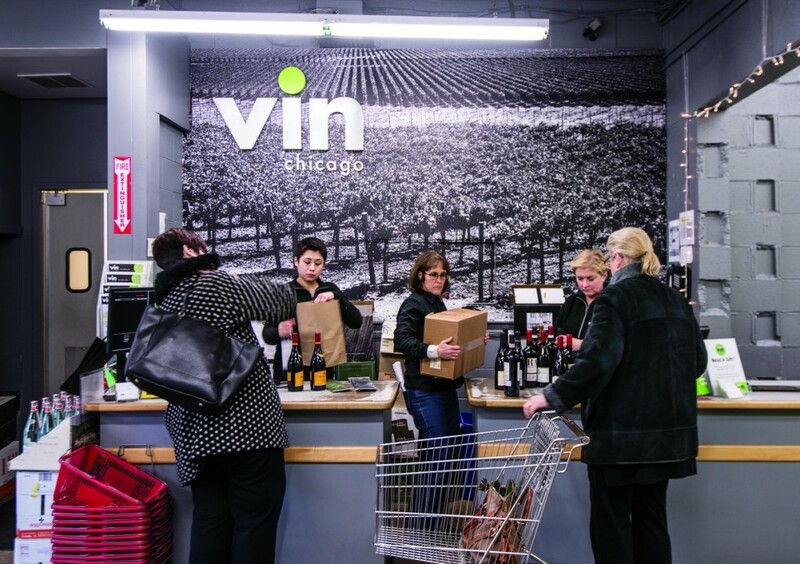 Vin Chicago got about four turns on its inventory last year. “Ideally, we’d like to get one more turn a year,” he says. Customer service is essential to the business. Vin Chicago has 25 full-time employees and another 80 or 90 part-timers. Store managers are knowledgeable and extremely loyal—one has been around for 37 years, while another has logged 10 years. Once a week, the managers gather for tastings—typically sampling 100 wines from 10 distributors—and choose to sell only the wines they believe in at their stores. Each has a key role, such as buying wine for the entire chain or overseeing the social media. The formula doesn’t lend itself to offering a lot of mainstream wine brands, such as Yellow Tail. 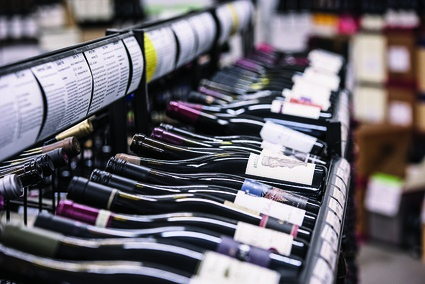 Baker says his shelves encompass wines from remote French regions, including Jura, Corsica and Savoie, which are commonly only represented at huge superstores. In fact, 25 percent of sales comes from French wines and 35 percent of sales comprises American wines. The company carries labels like the 2005 Château Valandraud ($270 a 750-ml. bottle), the 2009 Château Pichon Longueville Comtesse de Lalande ($188) and the 2004 Louis Roederer Cristal Brut ($180). The Domaine Tempier Bandol rosé is chronically in short supply at rival shops, but Vin Chicago had cases of the 2013 vintage recently for $37 a bottle. Bud Schwarzbach grew up in Chicago’s Austin neighborhood, earning a business degree from the University of Illinois in 1956 before serving in the Navy for two years. He aimed to land a job with a big corporation until his father, Harry, reeled him in to work at the family’s original West Town Liquor Supply Co. store, which opened in 1934. His future was cemented in the early 1960s when he began traveling to France, Italy and Germany to taste wines with a select group of retailers and fell in love with the business. Before long, West Town expanded in size, a second store launched and a group of eight stores joined under the Famous Liquors name, with Bud Schwarzbach serving as president. Determined to open his own discount retail concept, he launched the first Wine Discount Center in 1986 in an area of Chicago that hadn’t yet been gentrified. He left Famous Liquors not long afterward. For a company steeped in such a rich history, its Internet business is surprisingly robust. About one-fourth of all sales currently occur online, though the audience is limited to Illinois residents only and almost all of them pick up their merchandise in person at the stores. Email blasts go out twice a week to more than 40,000 people. Upon making a purchase, customers immediately receive an email detailing each item, along with complete tasting notes and even recommendations for how long to cellar wines. It’s a delightful touch for a shopper apt to forget that Wine Spectator awarded a particular Chardonnay a score of 92. The idea came from a customer who happened to work for Google. Zach Patap, director of sales and marketing at importer Maverick Wine Co. in Bensenville, Illinois, agrees that the changes have been well-integrated. “Peter played a key role in pushing his father and the company into the Internet, better internal systems and new branding,” he adds. One big change would be expansion. But both father and son remain cautious on that subject. “We always have our eyes open, but we’re not actively looking,” Peter Schwarzbach says. 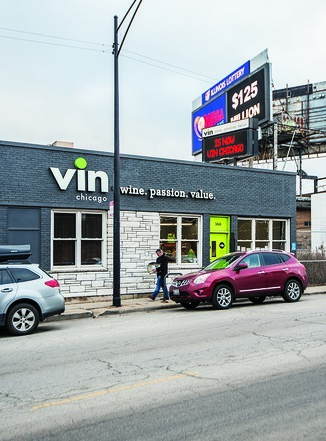 His father believes that Vin Chicago may well be the perfect size for wine retailing. “We’re big enough to qualify for good pricing, but not so big that we lose touch with our staff and customers,” says Bud Schwarzbach, who has no intention of retiring or even slowing down. His health is good, and with three children all working at Vin Chicago, he’s never felt so optimistic about the future of the business.